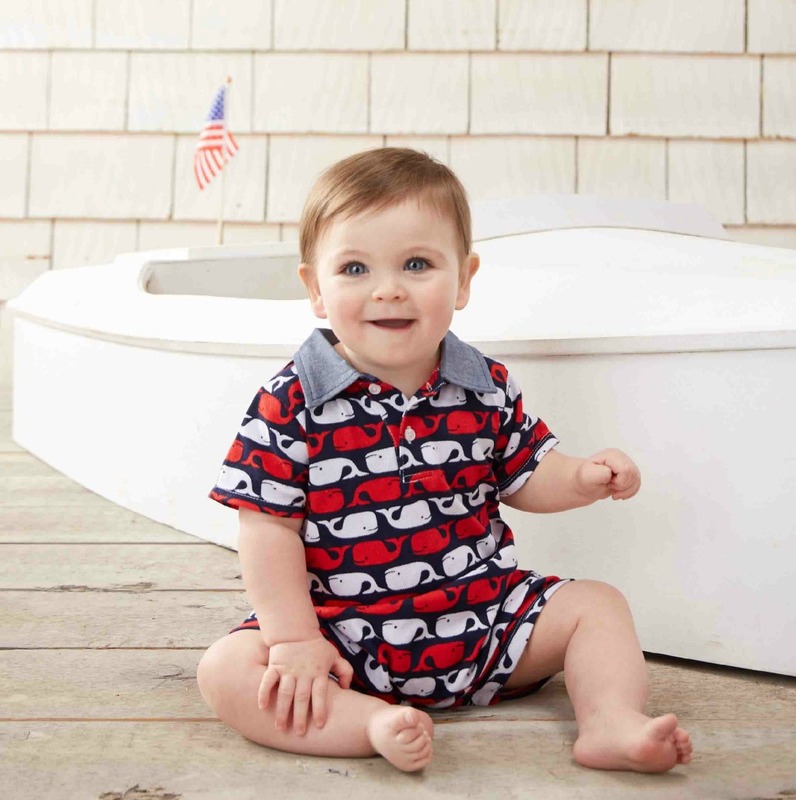 Handsome baby boys nautical preppy style polo outfit features classic whale knit print one piece coverall with snap bottom and woven chambray collar. Machine wash. 100% cotton. Imported.